Plot: The Whos in Whoville are deep in the midst of preparing for Christmas, where the mayor has decreed that the celebration needs to be three times as extravagant as ever before. Finally fed up with all the “Noise! Noise! 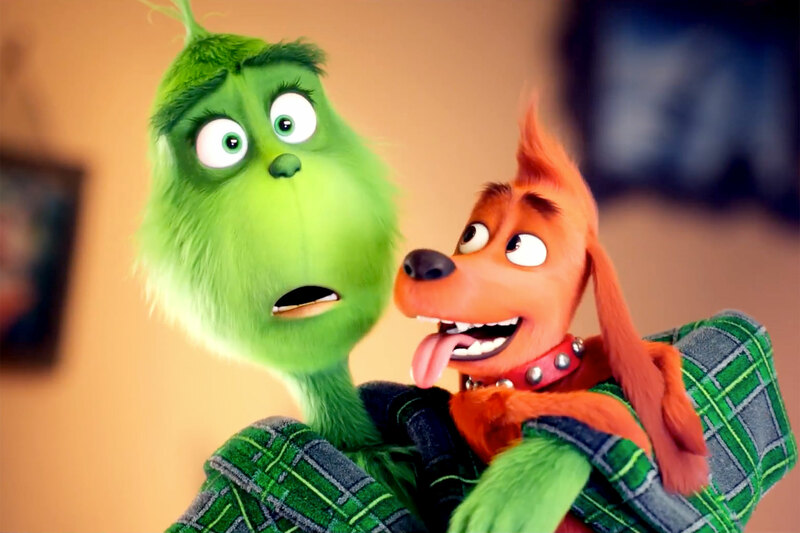 Noise!” the Grinch (Benedict Cumberbatch) plots to steal Christmas with the help of his trusty dog Max. Review: Like many children I grew up on the Dr. Seuss’s classic Christmas special How the Grinch Stole Christmas! Aside from Rudolph the Red-nosed Reindeer it was far and away my favorite Christmas special. Along with Jim Carrey’s 2000 live-action film, this is now the third iteration of Seuss’ classic 1957 children’s book. So how does the 2018 edition measure up? While a brilliant color spectacle from Universal Pictures Illumination, directors Scott Mosier and Yarrow Cheney’s film adds little to classic story. At 86 minutes long, the film nevertheless feels like an effort to pad what originally was a half hour episode and it really shows. This time around Tommy Swerdlow’s script adds an overweight reindeer to the mix named Fred. If that sounds lame, it’s because it is. Moreover, there is a subplot by Cindy Lou Who (Cameron Seely) who’s determined with the help of her friends to stay up and meet Santa Claus. It’s trite and boring albeit that the Cindy Lou’s request for Santa warmed my heart. The one thing about the original special was that the Grinch came off as a sly and somewhat malicious creature. It made his redemption at the end of the story so much more fulfilling to see his transformation into someone who appreciates the true meaning of Christmas. While Benedict Cumberbatch does a satisfactory job voicing the titular character, this version of the Grinch comes off as a whiny buffoon who’s more annoying than scary. He’s not as much the hermit we’ve come to know him in the past as he does go down among the Whos and they seem to know who he is. Singer Pharrell Williams serves as the narrator this time around and unfortunately he can’t hold a candle to Boris Karloff. The people behind this movie would have been better off going with someone like Ian McKellen or even Anthony Hopkins who was the narrator in the 2000 film. Instead Williams describes a back story for the Grinch (he was an orphan and no one ever showed up during his Christmases as a child) that while a solid attempt at explaining the reason the Grinch hates Christmas, comes off pat, lazy, and unnecessary. The producers behind the film would have been better off just sticking with the “his heart was three sizes too small” justification. It’s hard not to compare this film to the original special. I know that’s somewhat unfair but when the original is such a classic, you can’t help but draw comparisons. One thing that really bugged me was how the Grinch ended up saving all the toys from falling off Mt. Crumpit. While in the original it was because he gained the “strength of ten Grinches plus two,” this time it was because Max, Fred, and Fred’s family helped him pull the sleigh back from the precipice. It just came off as extremely lame. I will say that from a visual standpoint the animation is top-notch. In an era where color palettes are sometimes too dark and dim, The Grinch pops. The color schemes are bright and vibrant and fit well with the celebratory nature of the Whos. In addition, I do feel that children will appreciate this film. My four-year old son said he liked it even better than the original special, so take that for what you will. Adults will be sorely disappointed however. 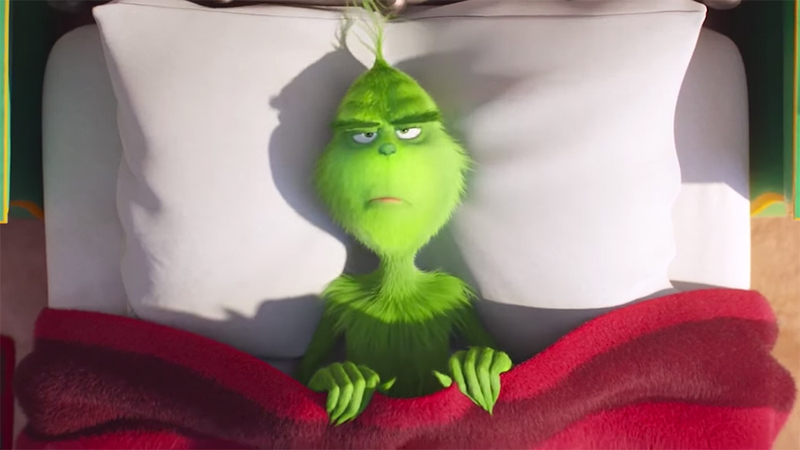 While The Grinch may serve as an hour and a half of entertainment for children, this is not Illumination’s best work, a company that’s had much success with the Despicable Me franchise. If you’re looking for a new and interesting twist on the classic tale, The Grinch will leave you solely disappointed. It’s not terrible, it’s not great, it’s merely bland and forgettable. You’d be better off just watching the original special and calling it a day.